Investigators will re-examine circumstances and re-interrogated participants and witnesses. A criminal case into the incident with the participation of the People's Deputy Serhiy Pashinsky will be investigated by Kyiv regional prosecutor's office, prosecutor-general's spokeswoman Larysa Sarhan wrote on Facebook 3 January. Investigators will again question all participants and witnesses to the incident, conduct investigative experiment and the necessary expertise. On 31 December, Pashynskyy got into a fight on the road near Kyiv and wounded local resident Vyacheslav Khimikus, 38, in the leg. The lawmaker said that the man first attacked him hitting a bottle on the head. 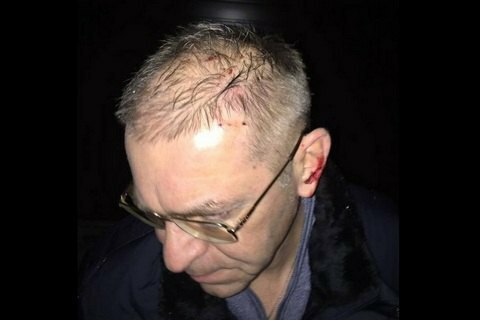 The man, wounded by Pashynskyy, stated that the lawmaker did not make a warning shot into the air, but aimed him at the chest. Only "by lucky coincidence" the bullet hit the victim in the leg. Ukraine increases gas production to 20.2bn cu.m.